Life can get busy. It doesn't always afford you the "perfect time" to look at your bank accounts. Mobile Banking puts you in control of nearly all aspects of your Raccoon Valley Bank accounts wherever life takes you. Note: using Mobile Banking requires an Online Banking account. Take all of the benefits of Online Banking, put them at your fingertips for anywhere, anytime access and you have Mobile Banking from Raccoon Valley Bank. Simply enroll in Online Banking and follow the Mobile Banking Enrollment instructions and you will be viewing balances, transferring funds and paying bills in no time! 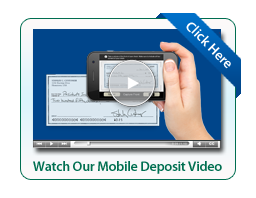 Deposit checks Anytime, Anywhere with our newest Mobile Banking feature, Mobile Deposit! With Mobile Deposit, you’re able to deposit checks to your account wherever life takes you by simply using your smart phone. Search for Raccoon Valley Bank. Once downloaded, open the application to log in. Enter your username and continue. Answer your security question and continue. Verify your password and login. 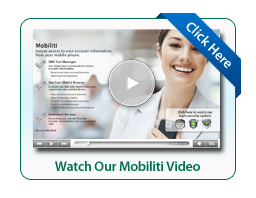 Enjoy all the benefits of our Mobile Banking App!